Royal Caribbean has released a brand new video of Harmony of the Seas, the world’s largest cruise ship. This isn’t just your typical cruise video, it’s a stunning onboard tour of the entire ship in just 1 minute! 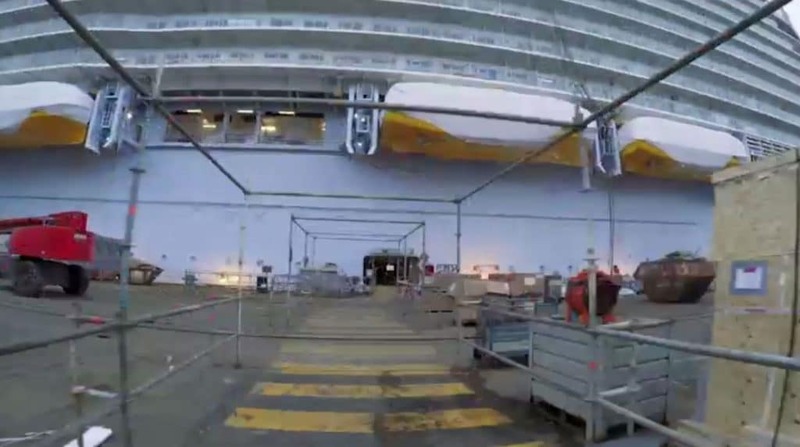 The hyper-lapse video is a unique view of Harmony of the Seas which is currently in the fitting out phase at the STX France shipyard in Saint-Nazaire, France. The vessel is taking shape with onboard venues being fitted out. With just mainly the interior left to be completed before Harmony enters service workers are busy getting all the features ready. 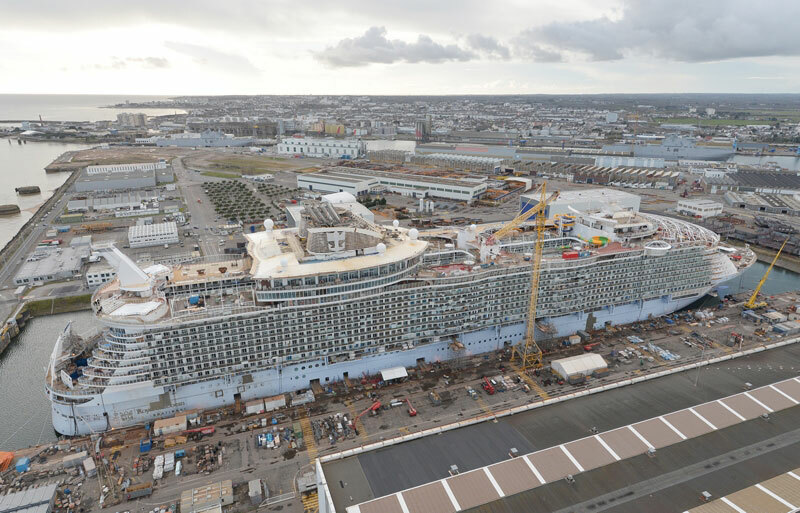 It won’t be long until the crew begin singing on the ship to set up their work spaces but before that Harmony of the Seas will undergo another sea trials off the French west coast. The ship will begin sailing from Southampton, UK In May 2016. After a series of cruises from the British port the 227,000 gross ton vessel will sail Mediterranean cruises from Barcelona. Harmony of the Seas will head over the Atlantic ocean to its new home port in Fort Lauderdale, Florida for Caribbean cruises.